In 1934, Congress passed the Taylor Grazing Act in response to overwhelming abuses and rangeland degradation caused by unregulated grazing. 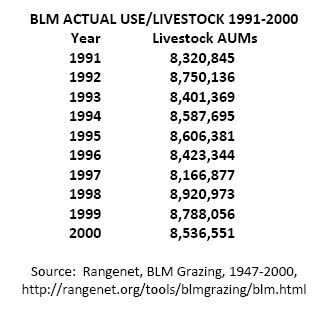 While BLM fails to provide annual records of livestock authorizations and actual use data to support this claim, alternative grazing statistics available from Range Net report, by 1947, BLM was only authorizing 14,993,597 AUMs for grazing, a difference of 7,006,403 AUMs less (-31.8%) than BLM claims was authorized six years earlier. In 1971, when the Wild Free-Roaming Horse & Burro Act was passed, these alternative grazing statistics report livestock had consumed 10,286,574 AUMs in all BLM managed states. 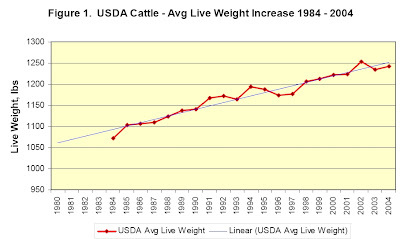 The actual reduction between 1971 and 2008 for livestock “actual use” is merely 1,686,574 AUMs, a decline of only 16.4%. In 1976, Congress passed the Federal Lands Management Policy Act (FLMPA) in efforts to address continued widespread declines in range conditions. At this time, Range Net reports livestock actual use data on all BLM managed lands totaled 10,227,730 AUMs, a decline of less than 1% between this five-year period. Despite FLMPA’s passage, many felt it didn’t go far enough to protect Western rangelands from the ongoing desertification attributed to overgrazing by the livestock industry. Due to these concerns, in 1978 Congress passed the Public Range Improvements Act (PRIA) in efforts to provide even stronger measures to halt the accelerated degradation readily apparent throughout the West. At the time Congress passed PRIA in 1978, records indicate that 9,384,978 AUMs were actually used by livestock, a further reduction of 842,752 AUMs (-9%) since the passage of FLMPA. However, despite BLMs current claims that livestock allocations are down, historical records show that actual use by livestock ranged from 8.1 million to 8.9 million AUMs annually between 1991-2000 with the 8.6 million AUMs BLM reports as actually used by livestock in 2008 falling within the same AUM average as the previous decade. At this time, BLM’s census of wild horse and burro populations was achieved by ground observations only (in other words, BLM/USFS drove around in cars to record populations) and official records did not distinguish any “domestic” horse or burro populations from wild ones at this time. In 1974, after BLM had completed and compiled data from their first aerial censuses on wild horse and burro populations across the West, BLM reported a total horse population of 42,666 horses on public lands equating to 511,992 AUMs of annual forage consumption and 14,374 burros consuming approximately 86,244 AUMs; all combined, horse and burro forage consumption for 1974 totaled 598,236 AUMs on BLM managed public lands. However, BLM also reported that by 1974, a total of 17,165 horses (40.2%) of the horse populations and 123 burros found on public lands were unauthorized “domestic” animals. These animals were reported by BLM as claimed under a private ownership clause granted by Congress during an interim period given to ranchers to remove their private stock from public ranges before the protections of the Wild Free-Roaming Horse and Burro Act became enforced. Though this interim period was only suppose to extend for one year after the passage of the 1971 Act, BLM allowed and reported 69,000 wild horses and 330 burros to be privately claimed and removed from public ranges due to the private ownership clause between 1972 and 1980. No one knows how many animals “disappeared” during this time that went unreported. Therefore, though horse and burro consumption on public lands totaled 598,236 AUMs in 1974, BLM maintained that only 25,501 horses and 14,374 burros were actually “wild” and entitled to this forage under the auspices of the 1971 Act. Based on this assertion, BLM historical population records for 1974 indicate wild horses consumed approximately 306,012 AUMS while wild burros consumed 86,244 AUMs – a total of 392,256 AUMs. While BLM claimed the other 17,165 horses found on public lands were actually domestic livestock and the 205,980 AUMs of forage they consumed remained unaccounted for in BLMs annual livestock authorizations, BLM was able to use these “domestic numbers” to bolster their claims of excess wild populations on public lands – even while they were being removed under private ownership clauses by the tens of thousands. At the passage of FLMPA in 1976, BLM reported horses and burro populations on public ranges totaled 60,100 for both species; 53,310 horses (639,720 AUMs) and 6,790 burros (40,740 AUMs) equating to 680,460 AUMs being consumed annually. Yet again, of these reported populations, BLM claimed 11,023 horses and 84 burros were privately claimed and removed from public lands equating to 132,276 AUMs of “unauthorized” forage consumption. As a result, BLM reported for 1976 that the actual “wild” horse and burro populations totaled 49,077 animals; 42,287 wild horses consuming 507,444 AUMs and 6,790 wild burros consuming 40,740 AUMs for a total of 547,680 AUMs. Another interesting note regarding BLM historical population records during this time period is, according to BLM data, the wild burro populations totaled 14,374 in 1974 with merely 70 burros removed by BLM and 207 burros claimed through the private ownership clause over the next two years. However, by 1976, BLM’s “wild” burro population estimates had plummeted to 6,583 (minus the 207 burros claimed under the private ownership clause), a loss of 7,791 burros (-54%) that have never been accounted for during this two-year period. In 1978 at the passage of PRIA, BLM estimated total horse and burro populations on public lands were 63,190 animals consuming 703,320 AUMs of forage; 44,380 horses (532,560 AUMs) and 9,160 burros (54,960 AUMs). But again, BLM claimed 9,650 of these horses consuming 115,800 AUMs failed to be “wild” and were privately claimed while 147 burros joined the private ranks of BLM authorized removals. As a result, BLM’s wild horse and burro population estimates were limited to 44,380 horses consuming 532,560 AUMs and 9,013 wild burros consuming 54,078 AUMs for a total of 586,638 AUM’s. In the year 2000, BLM went to Congress and reported that the drought stricken West could no longer support the current wild horse and burro overpopulation and lobbied Congress to fund what became known as the “Healthy Watersheds Initiative” passed in 2001. A this time, wild populations were estimated at 42,113 wild horses and 5,263 burros for a combined total population of 47,376 animals. Based on the 2000 population estimate, forage consumption by wild horses and burros equated to 565,356 AUMs for wild horses and 31,578 AUMs for burros totaling 596,934 AUMs. As of fiscal year 2009, BLM reports public rangelands can only support 23,633 wild horses requiring 283,596 AUMs and 2,915 wild burros requiring 17,490 AUMs for a national population total of 26,578 of animals with a maximum forage consumption need of 301,086 AUMs annually. There are many that argue the reason actual use by livestock is down from the historical levels issued in 1941 is rangeland productivity continues to decline due to decades of overstocking and failures to inventory forage production and/or provide even reasonably current carrying capacity analysis. As a result, total forage consumption by cattle grazing on public rangelands has most likely increased proportionally due to these new “super sized” cows, which would require a 15.8% annual increase in forage consumption to support them. Based on BLMs 2008 reported livestock use, this could mean that up to 1,358,800 AUMs were consumed by cattle that remained unaccounted or unbilled for in BLMs actual use grazing data reports for 2008. If this hidden forage consumption were added to BLMs 2008 grazing totals, actual grazing use on BLM managed public rangelands may have reached as high as 9,958,800 AUMs consumed by livestock alone. This would indicate that while forage consumption by livestock on BLM managed public lands in 2008 had declined by 327,774 AUMs (-3.1%) since 1971 when the Wild Free-Roaming Horse and Burro Act was passed, it is a far cry from the 57% reduction BLM has been using to counter wild horse and burro advocate claims that BLM is removing wild horses and burros to increase livestock production on public lands. Of further significance, despite recorded drought conditions plaguing much of the West over the last two decades, actual livestock forage consumption may have potentially increased by as much as 573,822 AUMs (+6.1%) when comparing the year 2008 against 1978, when Congress passed the Public Rangelands Improvement Act in order to rein in the obvious and ongoing desertification being attributed mainly to overgrazing by the livestock industry. As a result, more forage may have been consumed by livestock on BLM managed lands in 2008 than when the Public Rangelands Improvement Act was passed thirty years ago! 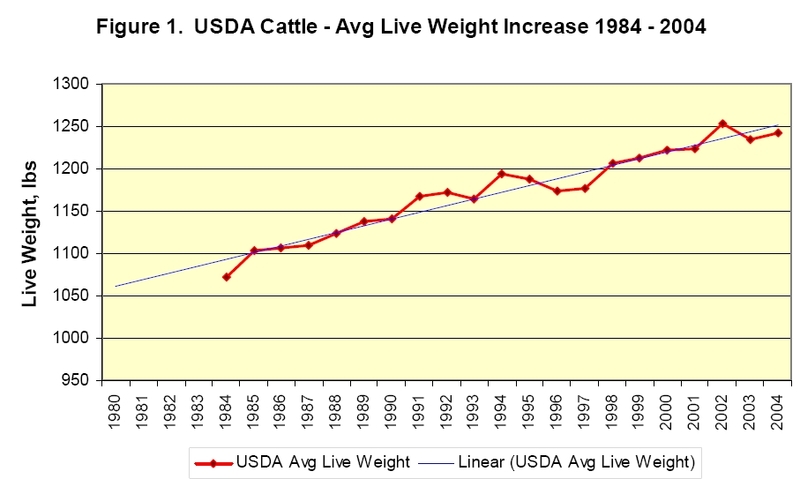 Also, according to Carter’s analysis, there is another serious factor in computing livestock actual use data and true forage consumption related to the cow/calf pair BLM and USFS bills for as, current live weight slaughter statistics indicate the AUM formulas still being applied for authorization and billing purposes are based on outdated weight averages that fail to reflect actual use. While another potential 50% increase in unaccounted forage consumption formulas would obviously weigh in heavily with respect to more “hidden” consumption and the corresponding rangeland degradation being foisted on public lands by the livestock industry, because BLM has always allowed calves to graze “for free” (unlike wild horses and burros where BLM now uses a 20-25% “projected” increase due to foaling season to bolster their excess population percentages before they are even born), I have decided to omit calculating the calves potential impacts for now as they have always been hidden component of public lands grazing statistics since BLM’s inception. In addition to all the potential increases and hidden livestock consumption on western rangelands over the last thirty years, big game populations have also continued to expand throughout the West during much of this same time period and as a result, have caused additional “hidden” increases in forage consumption rates that today, BLM refuses to even include or analyze within the context of the “thriving natural ecological balance”. Based on the current information available, combined big game species (minus deer populations) are estimated at consuming a minimum of 9,465,120 AUMs of forage annually. This also equates to 96.8% more forage allocation and consumption rates for these species than BLM’s national “appropriate” management level for wild horses and burros. BLM’s current national management strategies aim to allocate 1.5% or less of available forage for wild horses and burros than is being used by livestock or big game. Even at the totally unsubstantiated current population estimate of 38,400 wild horses and burros BLM reports still remain on public lands, this equates to 404,400 annual AUMs for horses and 28,200 annual AUMs for burros, a combined total of 432,600 AUMs and merely 2.2% of what livestock and big game consumed in 2008. While Secretary Salazar and BLM Director Bob Abbey continue to insist it’s a “no-can-do” on stopping the round ups, wild horse and burro forage consumption rates are still the less than at any other “key” time in their legislative history - except of course when Congress declared they were “fast disappearing” due to decades of prior BLM extermination tactics that many argue continue today - unabated and without consequence. (b) 2006 Pronghorn antelope population estimates for MT, WY were obtained from Conservation of the Northern Yellowstone Pronghorn: A Report and Possible Approach for NPCA’s Involvement, Blank, Intern, Stevens, July 2006,National Parks Conservation Association, pg. 1, MT/WY average.